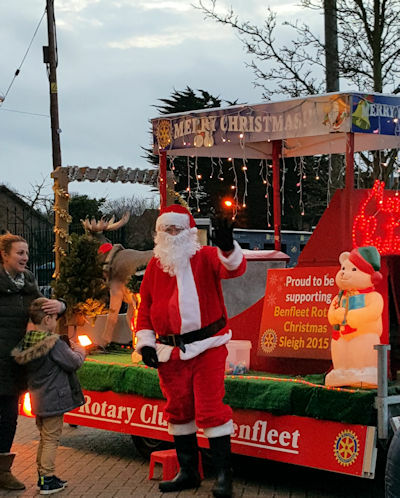 Thundersley did itself proud this afternoon. 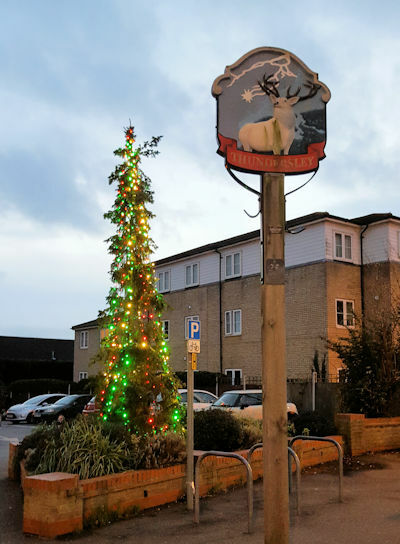 Friends and neighbours gathered to celebrate the season and wish each other well as shopkeepers welcomed us with open doors and festive food and drink. 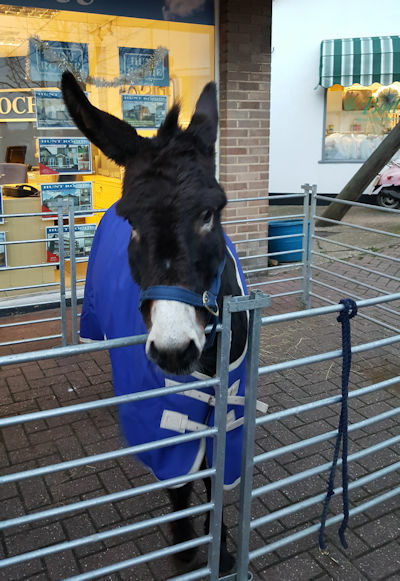 Jenny the Donkey came to see the children. 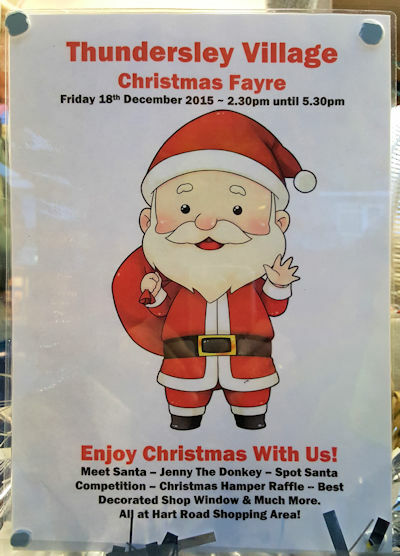 Father Christmas was there with reindeer and treats for good little boys and girls. 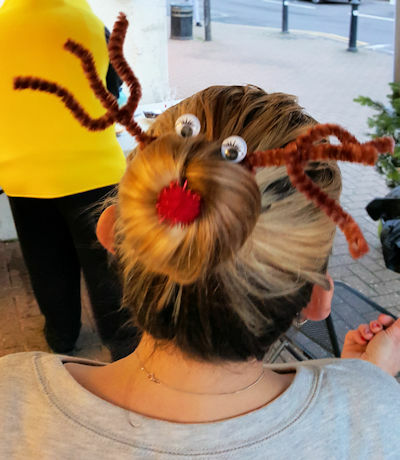 Our local hairdressers created reindeer hair for the ladies. 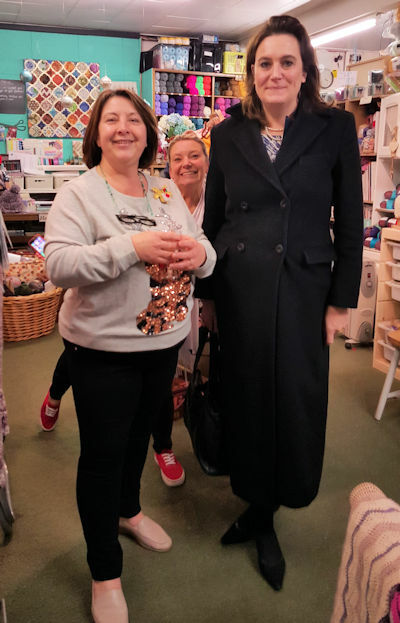 And our MP (Member of Parliament), Rebecca Harris, stopped by to visit all the shops and mingle with the crowds. The comment I heard the most: Thundersley feels like a proper English village!